Register to Vote in 30 Seconds With Mark Cuban's AppDownload now. Would you recommend Register to Vote to a friend? @fivext Love the idea! If you need someone to beta test the Android version, feel free to ping me. @fivext This is fantastic! I wish we had something similar for Canada and perhaps other countries. If this can be launched and marketed on a greater scale, I'm confident there would be many more that will be voting. Many people tend to not vote because they are just straight up lazy, don't know how to do it or could care less. Keep working hard, you guys are on a solid track! @fivext you guys should partner up with @huntajames aka Voter app! Fantastic work. Voting is due a technical re-haul (globally!!) - this is a great step in the right direction. 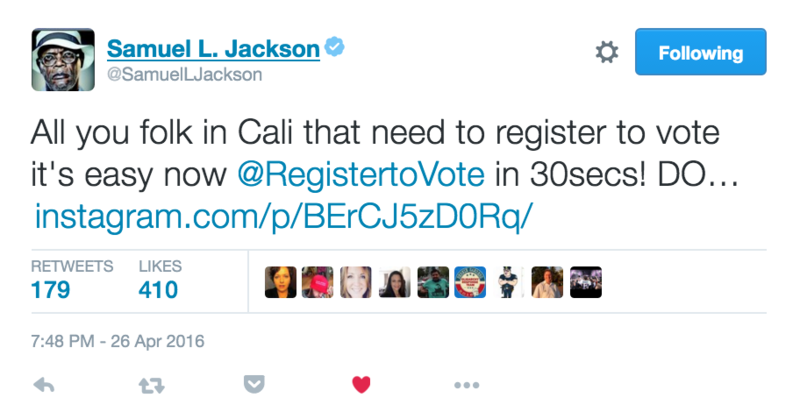 I saw support from @SamuelLJackson about this app yesterday too! Why wasnt this a thing like a few weeks ago? or months?! One of the best products in it's real value for humanity - I've ever seen on PH.